Since he was little, Danny has loved boats and helping Daddy out at work. He was very excited when Uncle Phil asked him (and Dave!) 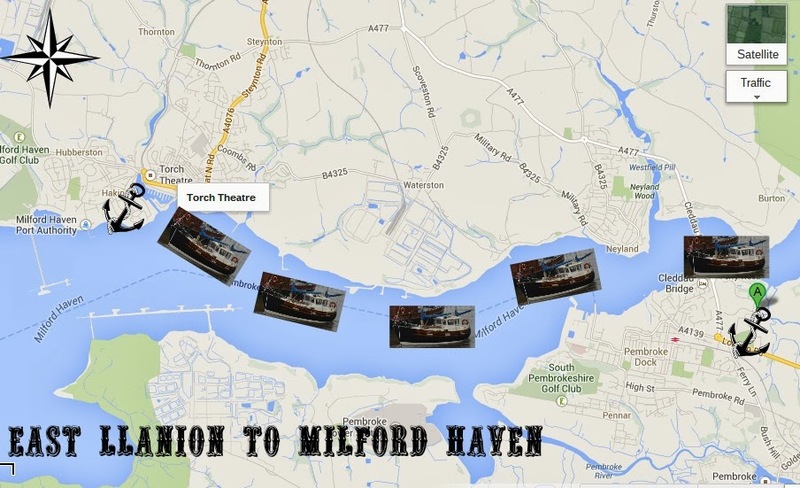 to help bring his new boat back from East Llanion to Milford Marina. On Saturday morning, Phil picked the boys up and drove them to East Llanion. 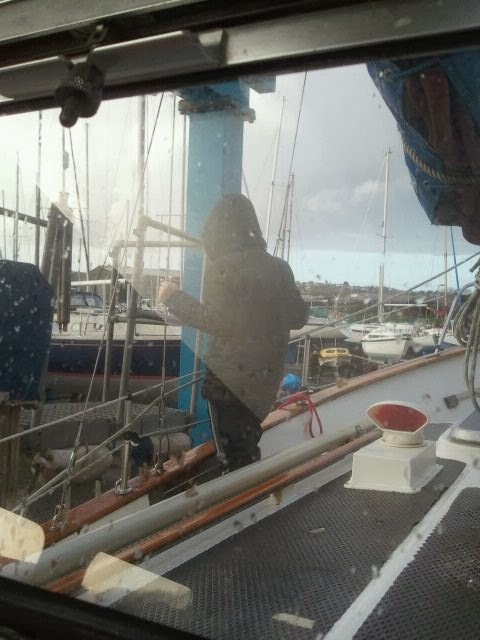 The boat, Sundowner, a Fisher 30, was all ready to go on the hoist, so they climbed aboard and were launched out to sea. Danny loved the boat ride and even had a chance to steer. He now wants his own boat and is already planning an adventure to Ireland! 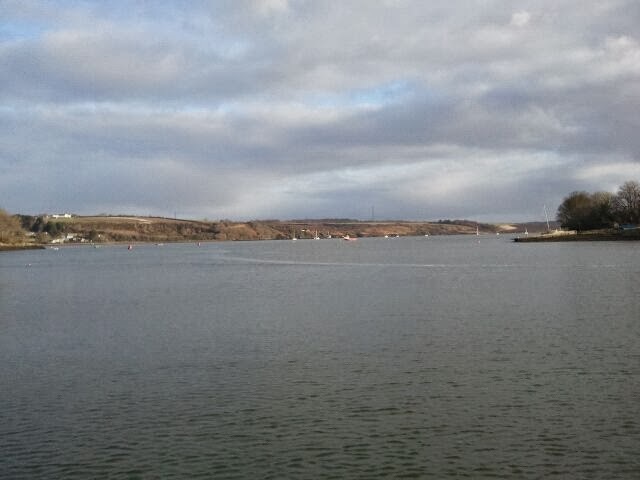 This is where we spotted them, approaching Milford Marina. At least I hoped it was them as I stood there taking photos! Closer up in the Harbour I could confirm to the girls that it was indeed definitely them! They were excited to see Danny, Daddy and Uncle Phil. The boat behind them, the MFV 74, is our friend Cloudy’s old boat which he lovingly restored over many years, so we’ve also been lucky enough to sail on that one before, whilst he still owned it. 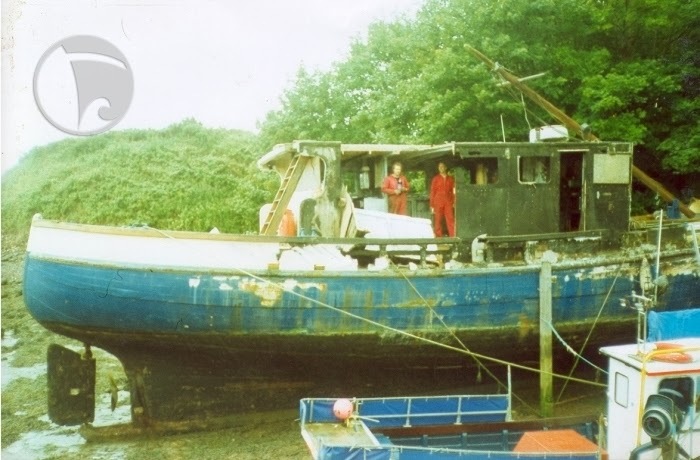 It’s hard to believe that the boat looked like this when Cloud first bought it. Dave is on the right in this picture. 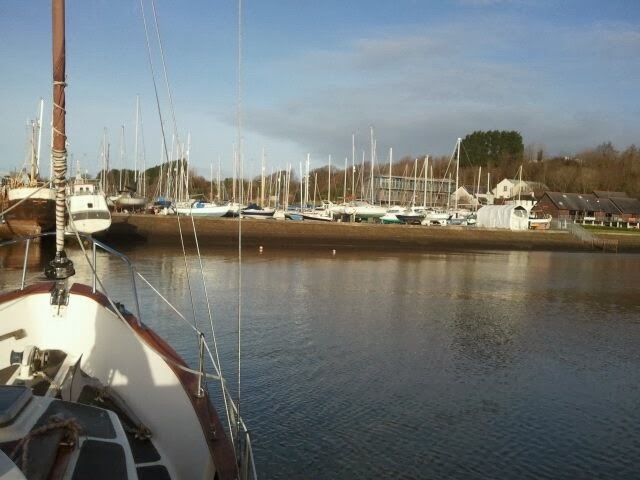 Phil carefully steered the boat into it’s new berth at Milford Marina, one of Wales’ top marinas with four gold anchors, awarded to them by The Yacht Harbour Association. 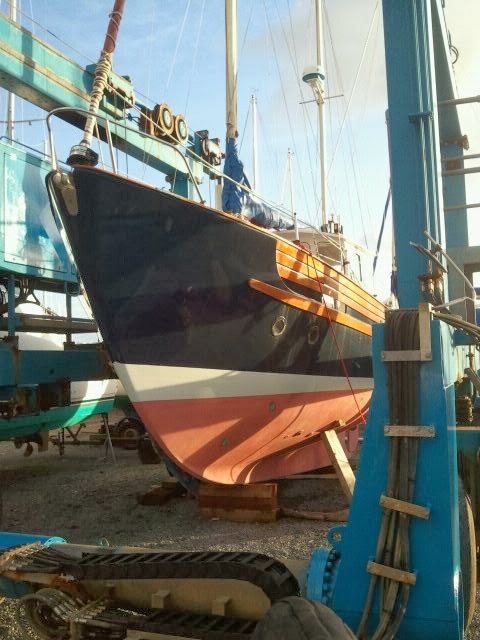 It will be a lovely new home for Sundowner, as they can keep her in good condition using Windjammer Marine, of course, for boat repairs. We are so lucky to be spoilt for choice for picturesque destinations to visit by boat from here too, whichever direction we choose to go. The Islands are also fun to explore with varied wildlife. We walked across the other side to watch them tie Sundowner up securely. Then we waved Goodbye to Danny as we went off on a different water adventure- swimming lessons! Thank you, Uncle Phil for letting Danny on your new boat. We wish you many more fun adventures on it! 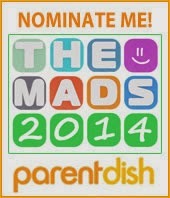 I would also love to be nominated for the Wales Blog Awards, thank you! Love this post as I just love anything to do with boats. What a beautiful place. How fab to have an Uncle with a boat and experience some lovely sea adventures. 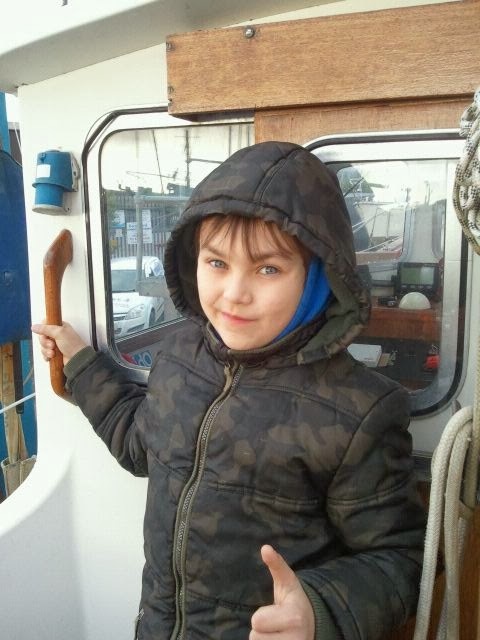 Thanks for linking up and sharing your lovely marina photos with Country Kids.